Earthscape is proud to have been a part of the design team lead by O2 Planning + Design that received a 2017 Mayor’s Urban Design Award from the City of Ottawa for Museum Park. The master plan for the park at the Canada Science and Technology Museum, devised by O2 Planning + Design, was awarded the highest honour in the “Visions, Master Plans and/or Design Guidelines” category. The plan seeks to bring the innovation and brilliance found inside the museum to the exterior in order to activate the green space directly adjacent to the museum. The park will become an extension of the learning opportunities and experiences from interior to exterior, creating an immersive and interactive environment of scientific education. 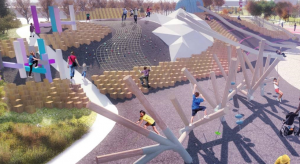 The design of the park is the product of collaboration between O2 Planning + Design, VLAN Paysages, Beakerhead, the Canada Science and Technology Museum, and Earthscape. Image courtesy of O2 Planning + Design. 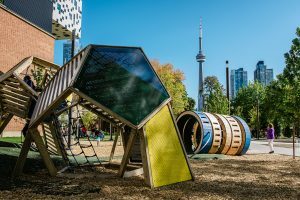 July 1st marked the grand opening of the Grange Park/AGO playground, adjacent to the Art Gallery of Ontario and the Ontario College of Art & Design in downtown Toronto. 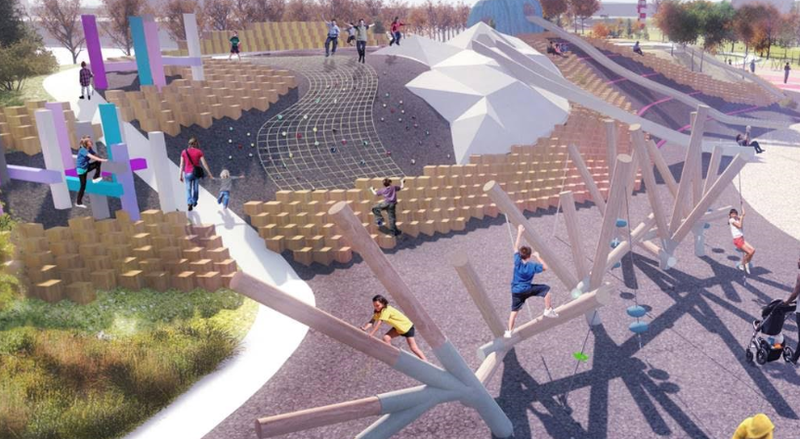 The new playground was a part of a larger park revitalization project – PFS Studio was the Prime Consultant and Lead Designer and Earthscape joined the team as a design-build partner for the playground structures. In homage to its neighbours, the playground represents elements of an artist’s studio. 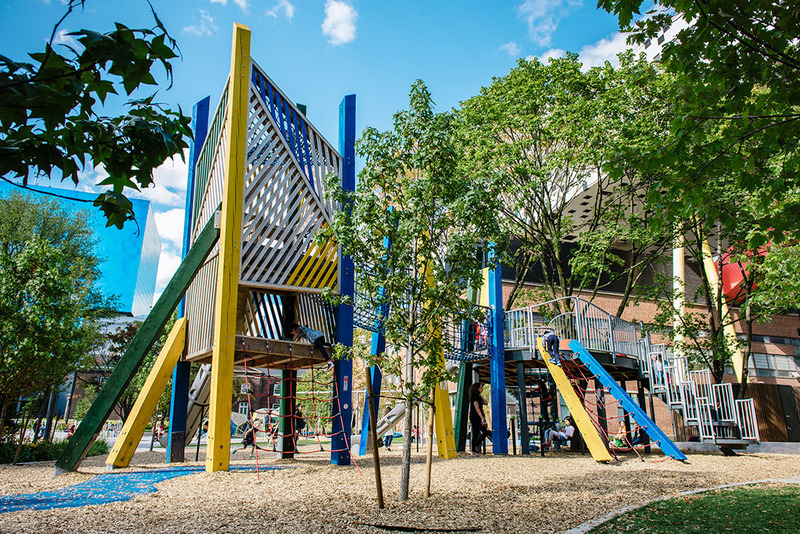 The north playground features climbing structures that represent a tipped-over paint can and crumpled paper. 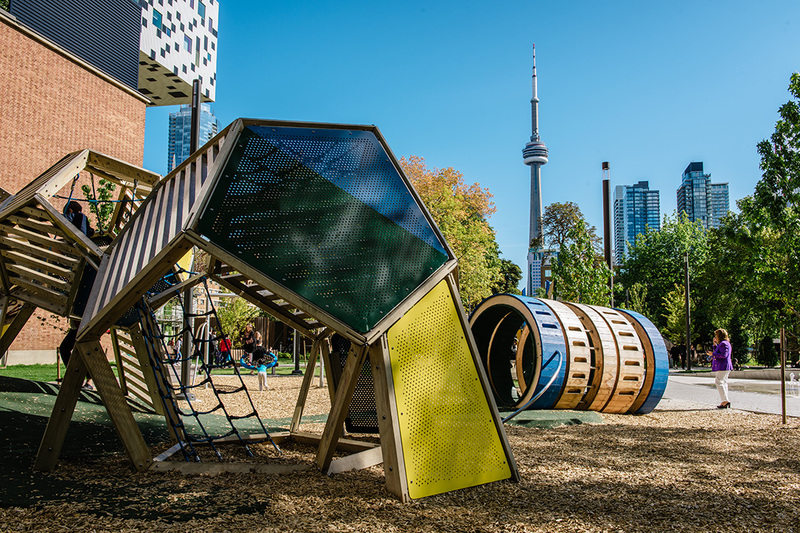 Nestled among mature trees, the south playground includes an elevated colourful artist’s pallet connected via rope-bridge to upright condé charcoal pencils that form a tower with a large slide. A squished paint tube oozing blue paint sits nearby. The art-themed playground was designed to offer the highest play value and inspire creativity in play. Playgroundology blogger, Alex Smith (aka Mr. Playgroundology) wrote about “A Canvas for Play,” describing the playground features from his perspective as a proponent of great spaces for kids and the reconceptualization of public play spaces. Just after the grand opening, DadCity, a Toronto blogger who writes about raising kids in TO, said it was already one of his favourite Toronto playgrounds. 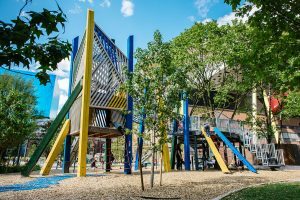 The Grange Park/AGO playground was also a ‘featured playground’ in the list of Canada’s coolest 150 playgrounds, created by nine playground writers from across Canada, led by Dana at Calgary Playground Review. 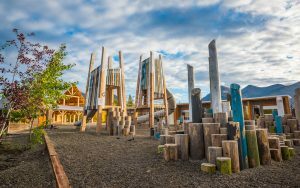 In celebration of Canada’s 150th birthday celebration, nine Canadian playground writers created a list of Canada’s 150 coolest playgrounds from coast to coast. 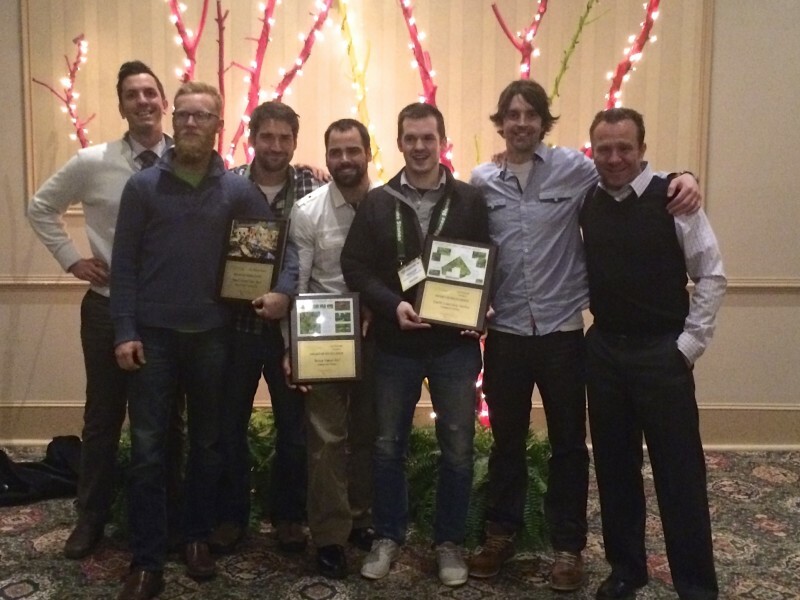 Earthscape is proud to have designed and built 10 of the playgrounds that are listed in four provinces! The chosen playgrounds represent a wide variety of play opportunities for kids of all ages and abilities including themed play spaces, accessible playgrounds and natural playgrounds. 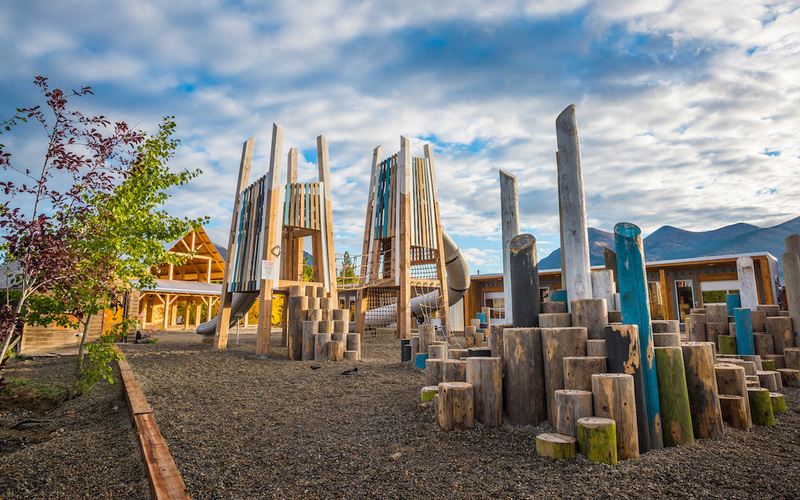 Earthscape is happy to contribute to the diverse and imaginative playscapes that can be found across Canada. 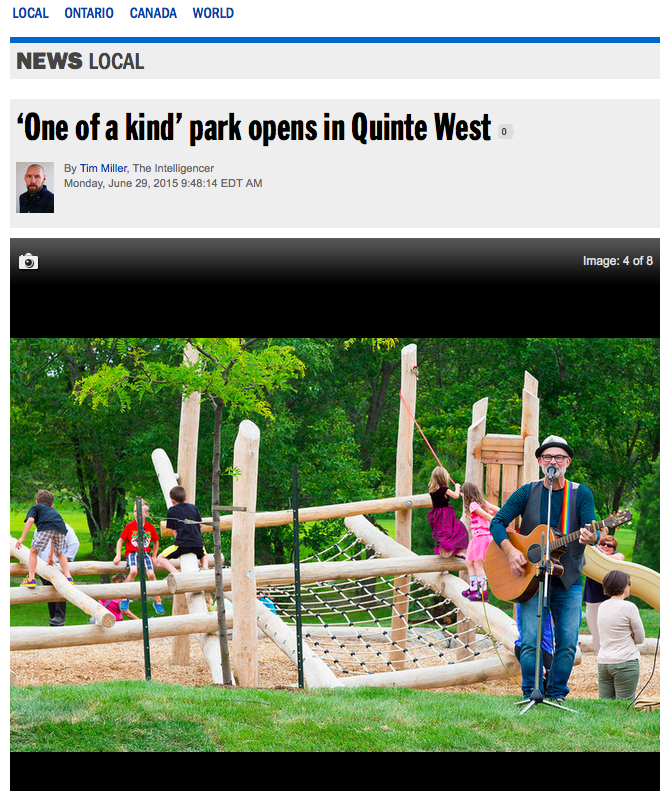 A news article on our recent Batawa Village natural playground completed this month. Read the full article here.